June 2018 – loudlatinlaughing – Euge! Euge! The blurb on this describes the narrator, Barnaby Gaitlin, as a loveable loser trying to get his life in order. What exactly qualifies him as a “loser”—is it the fact that he lives in a basement and owes his parents $9k and has a handyman-esque job? 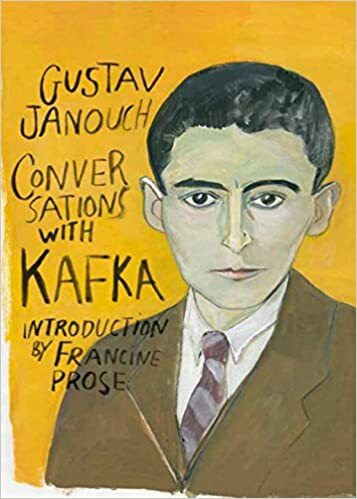 Gustav Janouch’s beautiful and odd memoir of his walks around Prague with Kafka when he was a young boy and his father worked alongside Kafka at the Workmen’s Accident Insurance Institution. Janouch was a budding writer himself and took careful notes of their meetings which later resulted in this book. Naturally you can’t assume these aphorisms dropped perfectly formed from Kafka’s lips into this book, but his spirit infuses this naturally flawed account of their relationship. Translated by Goronwy Rees, it’s choc-a-bloc filled with pithy sayings and wisdom. Apologies in advance for cribbing so much to paste in here. Every time I flash this book around someone tells me that it’s also a movie. It’s curious because this isn’t the best of her work that I’ve encountered, but something about it triggered a screen adaptation. Macon is a stodgy forty-something man separated from his wife after the freak murder of their son in a botched robbery. He’s addicted to systems, and when Sarah leaves him, he decides to do a bunch of weird things like shuffle around the bath with his laundry while he’s showering, sewing his sheets into a bizarre “envelope” so it’s fresh every day. He changes the dryer exhaust tube so the cat can use it to enter and exit the basement and decides to use the coal chute for the dog’s kibble. He works from home writing guidebooks for traveling businessmen to make their stay as much like being at home as possible. Rushing off to get tips for a new edition, he parks his dog in a kennel and meets Muriel, who pursues him relentlessly. They take up a relationship and Macon helps raise her son Alexander, then Sarah enters the picture again. There’s a weird trip to Paris at the end where Muriel books a ticket on the same flight, but Macon’s back goes out and Sarah comes over but he ends up with Muriel in the end? 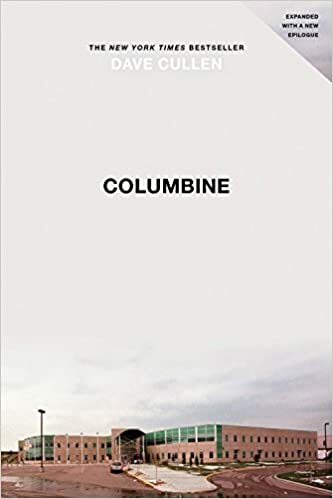 Dave Cullen unravels the myths and falsehoods that swirled around the 1999 school tragedy that ushered in a new era of terror for children. For those of us who haven’t followed the twists and turns over the years, you probably have the idea that the media pushed at the time, a couple of loners who were angry at the jocks and wanted to shoot them all. Well, no. Eric Harris was a certifiable psychopath who had been planning an even bigger bombing than McVeigh’s OKC event, and he pulled Dylan along with him, the poor depressive kid who had planned on killing himself before the event actually came to pass. (Evil Eric and Depressive Dylan is how I’m keeping them straight in my head). Beyond the inner workings of Eric’s mind, we see things that set the plan in motion in the months leading up to April 20: E & D steal things from a van and get caught, have to do some sort of juvy probation program, start stockpiling weapons, but still find time to go to prom and pick up chicks. Yes, they had bowling class but that’s not what they did the day of, sorry Michael Moore. Meh, overall, unless you’re completely nerding out about gun control and just want to feed your frenzy. This story was more bonkers than I realized. Besides the willfully deceptive insistence that their fake product worked, there are seamy tales of hiding the bizarre relationship of Holmes and her much older, pudgy, Indian boyfriend from the board, the strained relationship of grandfather & grandson Schultz, the egg on the face of many pseudo-respectable figureheads on the board who were mesmerized by Holmes, a suicide prompted by impending grand jury testimony, and direct consequences to patients who had tests done by these fake pinprick sticks. Despite what seemed to be excellent reporting by Carreyrou, I can’t help feeling like there’s a bit of smacking of the lips, people enjoying this story a bit too much because of the meteoric rise and fall of this woman. Surely the Travises have participated in similar fraud? The investigative reporter must have mentioned Holmes’ preternatural deep voice over a dozen times. 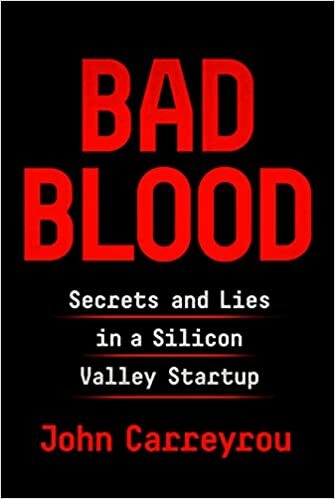 Bonus points for the fact that the fraud charges continue to pile up as everyone flips the pages of this book. Another one from Deep Focus’s Novel Approach to Cinema wherein writers deconstruct, analyze, roll around in the playpen of a particularly kitschy film (see previous post where Jonathan Lethem takes on They Live). 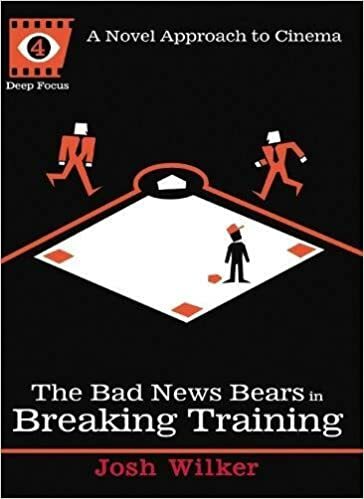 This covers the hastily put together sequel to the classic Bad News Bears, a 1977 movie where the team hits the road to play in Houston’s now exploded Astrodome. Wilker picks apart all the continuity mistakes, the new actors cast into roles that rolled over from the previous movie, the flimsiness of the sequel itself. 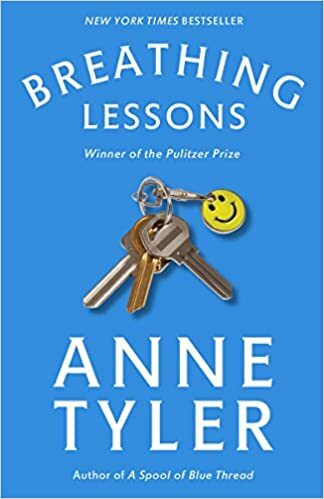 I think this is a less interesting book than Lethem’s mostly due to the movie comparison; They Live is a commentary on what we’re dealing with now whereas Breaking Training takes us back to a simpler time where racism and misogyny were normal and kids could play unsupervised even to escape in a custom van on the road. 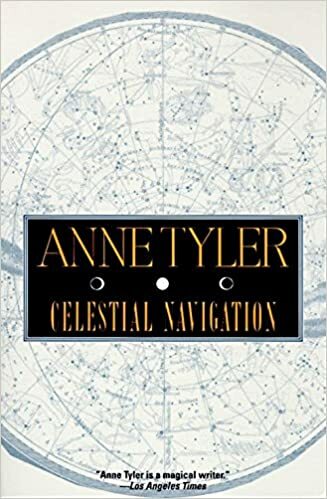 Another beautiful book by Anne Tyler (how is it that I have never heard of her amazing writing before?!). This one from 1974 shifts the narrator among a handful of people, beginning with Amanda in 1960, gone home to Baltimore with her sister Laura to help their brother Jeremy bury their mother. Once she discovers that her mom left her house to Jeremy, the sisters depart and are only shadows in the remaining story. But we get a glimpse of Jeremy in her story, a man incapable of leaving the house to visit his mother in the funeral home, a man lost in his own world spending hours creating art in his upstairs studio while letting the elderly boarders roam around the rest of the house willy-nilly. Didn’t it often happen, she thought, that aged parents die exactly at the moment when other people (your husband, your adolescent children) have stopped being thrilled to see you coming? But a parent is always thrilled, always dwells so lovingly on your face as you are speaking. One of life’s many ironies. 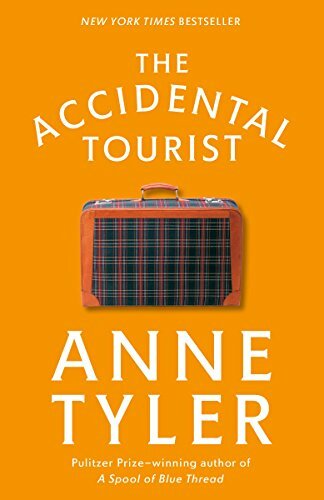 An easily digested beach-read-y type book that was actually quite good for the nanny genre it’s in. 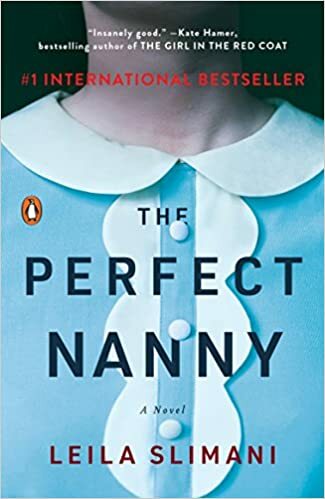 This French novel (translated to English by Sam Taylor) was a re-telling of the real life nanny murders that happened in NYC a few years ago, but Slimani shapes the psyche of Louise the nanny in such a way that doesn’t cheapen her motives, doesn’t suggest envy of her employers’ barely middle class possessions, but rather her complicated child-like state and total neglect of her own life subsumed by her employers’ kids. 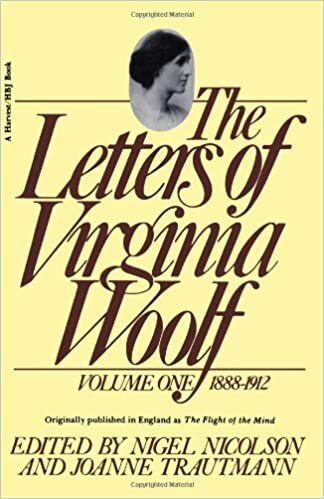 As Jessa Crispin noted in her Baffler review of the book, “But if one can’t reach a person’s inner world via journalism or a court of law, fiction seems like the ideal place from which to attempt radical empathy and reach a consciousness that is capable of monstrous acts.” It is “a novel about internalized post-feminist anxiety,” when women try to have both successful career and happy family. 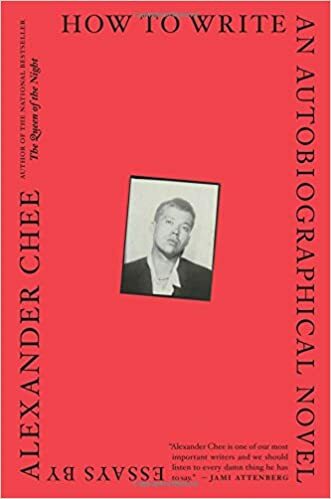 This was a good book to read, living up to the reputation that proceeded it from the lit nerds on Twitter, and a great choice to devour during Pride month. It’s a mix of writing and life advice, a memoir about surviving some terrible things as a kid and as a gay writer, some musings on gardening, 9/11, “The Election” (and what’s the point of continuing in this world? ), friends dying of AIDS, apartments rented across NYC, dressing in drag in SF for his first Halloween, the terrible jobs picked up along the way (waitering, cater-waitering, tarot card reading), teaching writing, handling success, and more. Put all deaths, accidents, and diseases at the beginning. Never quote dialogue that you can summarize. Avoid describing crowd scenes (especially party scenes). Vivid writing comes from precise verbs. Bad verb choices bring adverbs. All action on the page happens in the verbs. Verbs control when something is happening in the mind of the reader. Gerunds are lazy, you don’t have to make a decision and soon, everything is happening at the same time. Avoid emotional language. She isn’t angry, she throws his clothes out the window. Be specific. Go to the place in the bookstore where your books will go, and put your finger there. Create the space for yourself. Visualize it. Author lzPosted on June 13, 2018 Categories Reading ArchiveTags YES! I grabbed this book from the stacks without any guidance, hoping it could serve to steady me through a week of performances of The Ring. In it, Lee lays out the synopsis of each opera scene by scene (in Das Rheingold) or Act by Act (in the other three longer operas). Then he muses on philosophy, art, Schopenhauer, Liszt, Wagner, etc. Thomas Carlyle called the Ring “our northern Iliad” and cautioned European to see its opposition to materialism as a way to save industrialized nations from the insane power grabbing wealth hoarding path they were on. Famously, Wagner wrote the texts in reverse order, starting with the 3rd and then writing the 2nd and 1st to fill in the gaps of the story. He took five years to just write the words, publishing them in 1853, then began to set them to music which ends up totaling about fifteen hours. The fundamental insight of the Ring, Lee argues, is that everything that exists has evolved from one primal substance and that man had to separate himself from nature by evolving into consciousness. 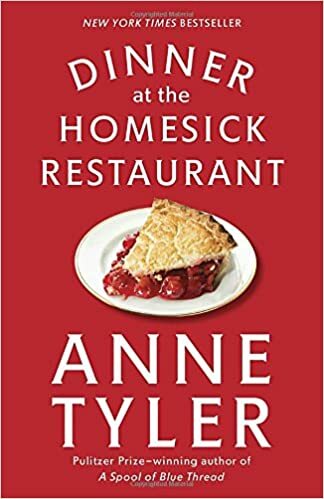 Another from Anne Tyler, but a step down from Dinner at the Homesick Restaurant. A mother meddles in her son’s failed marriage, trying to engineer them back together by telling each what they want to hear. This comes after a trip to a friend’s husband’s funeral where they’re required to sing the same songs they sang at her wedding 30+ years earlier. Add in a dash of eating disorder (she’s constantly worrying about her weight), falsely telling an old man he had a wobbly tire to force him off the road after he nearly ran them off, and an incident where she demands to be let out of the car and walks back to the diner where she imagines she starts her life all over again. It’s odd, but quick. 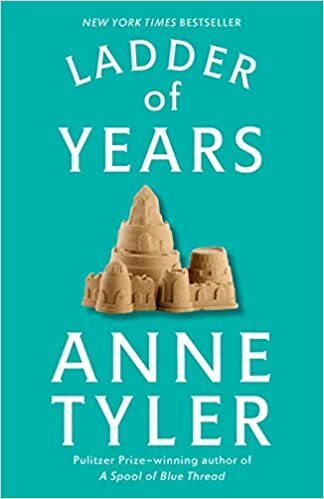 I discovered Anne Tyler by way of John McPhee and can’t believe I hadn’t heard of her before. This was a book that wrapped you in its arms and treated you like family, letting you in on all the secrets of Pearl and her three children. Her traveling salesman husband left one day and she raised Cody, Ezra, and Jenny by herself, never announcing that he was gone but simply getting a job as a cashier at a grocery store in Baltimore. Cody grows up to be a time management consultant, wildly successful but jealous of his brother Ezra for whom everything comes easily (most especially his mother’s love and admiration). Ezra, the dreamer, is happy running a restaurant in town (Homesick) although he gets a bit gloomy after Cody steals his fiancee Ruth away and marries her. Jenny becomes a pediatrician and goes through a few divorces before marrying a man with a large brood of children. In the end, Pearl dies, Ezra finds his father’s contact information and invites him to the funeral. Happily ever after, a grand way to lose yourself from the world for a few hours. Disappointing read on one of my favorite topics— the art and difficulties of translation. 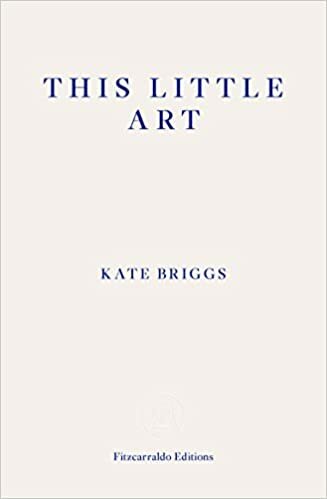 Kate Briggs muses on the choices made during translation, holds up other translators as examples, gives us a peek inside the kimono of her own translation of Barthes. 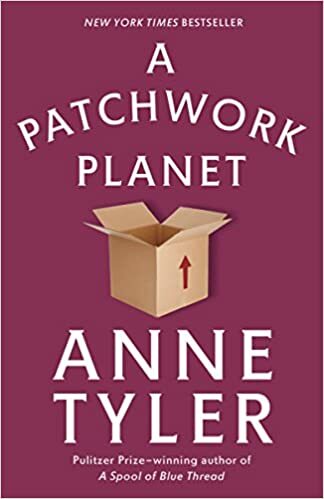 Throw in a heavy helping of Robinson Crusoe’s table making, a few obligatory references to Virginia Woolf, and an extremely protective stance about Helen Lowe-Porter’s translation of Thomas Mann, and you’ve got your book. Perhaps I was too annoyed by the structure—each thought bundled onto a separate page, sometimes several pages at a stretch with only a sentence on them. It wasn’t all rubbish, I did mark a few spots that were especially poignant. She also got me interested in comparing Lowe-Porter’s translation to James Woods (which I own), so another reading of The Magic Mountain is forthcoming. I’m also nosing around in Goethe’s Faust and have Barthes’ Preparation of the Novel headed my way. If anything, this book was successful in bread-crumbing me into the arms of better writers. Just remembered another good tidbit – apparently Barthes was pretty lax about people translating his work. “Just make it up!” he instructed them if the translators were unable to verify something he had written.